The University of Dundee, in partnership with the Gbowee Peace Foundation Africa, is offering scholarships to African female students who wish to undertake postgraduate programmes at the University. Gbowee Peace Foundation Africa is a non-governmental organization based in Monrovia, Liberia. Founded in 2012 by Nobel Peace Laureate, Leymah Gbowee,the mission of the Foundation is to promote holistic transformation in Africa by facilitating equal access to opportunities in all spheres of influence. The candidate should be aware that this scholarship is the University’s investment in the sustained growth of an individual and the betterment of a community at large. The candidate should indicate how she will use the studying abroad experience and the postgraduate qualification to locally or globally promote holistic transformation, facilitate equal access to opportunities for all, and encourage a peaceful, reconciled and empowered population in her home country. The awards will be given to students who are undertaking a one year taught Master’s programme at the University of Dundee, in the academic year 2016-17 (January 2017 entry). Applicants should already have been offered a place at the University of Dundee and should have firmly accepted that offer or be intending to do so. We have a full list of our postgraduate courses, including details of how to apply online. 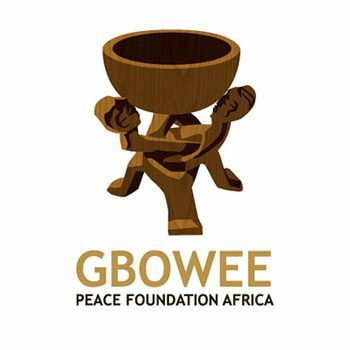 Preference will be given to a candidate who has shown evidence of upholding the ethos of the Gbowee Peace Foundation Africa through sustained personal growth, involvement in community development, and a strong commitment to the advancement and education of women and youths in her home country. It is recommended that the candidate provide examples or a personal narrative that highlight leadership qualities, personal fortitude, and active participation in developing meaningful opportunities which lead to the social, educational, and/or spiritual advancement of the disadvantaged. The successful candidate should be prepared to use the scholarship not only as an educational experience but also as a chance to become immersed in another culture, while fostering understanding of her own country and culture amongst students and the local community of Dundee. The applying candidate should address how she hopes to become involved in University or local societies, activities, and/or organizations, and how she will support discourse about issues women face globally.